It's been quite busy around here! Summer came and went in a blink and all at once it was time to head back to school! Time. Moves. Fast! 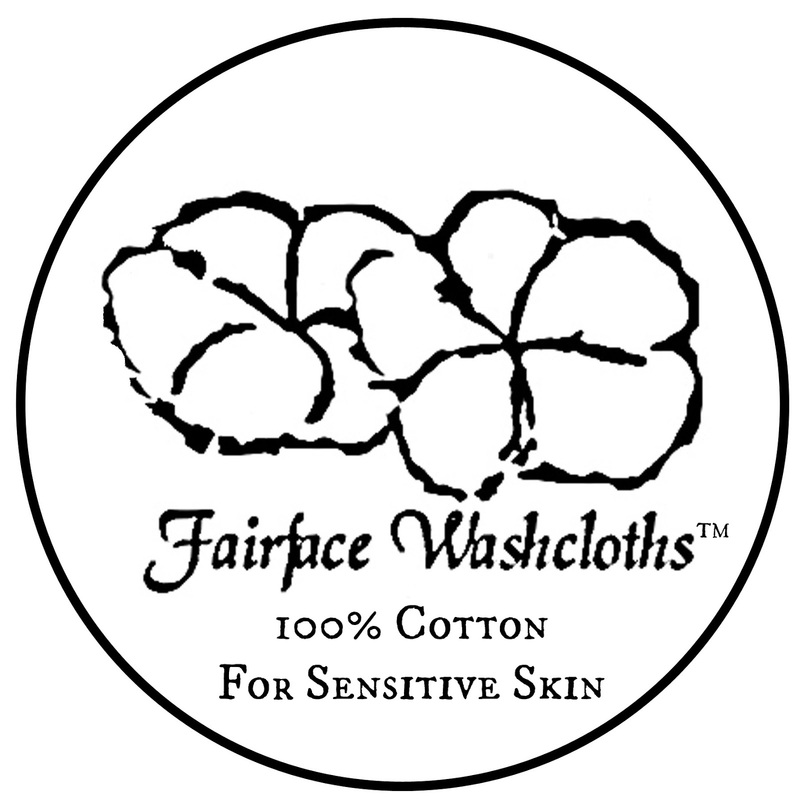 I've been working like a dog sewing and growing my Fairface Washcloths™ brand. I have EXCITING and I do mean exciting, like I-can-hardly-keep-myself-contained-and-almost-blurt-it-out-at-any-given-time exciting about new Fairface products just on the horizon! Trust me, you'll love them like I do! I'm hoping to launch them by the end of October, if not sooner. Will I be able to hold out?! For now, I'm happy to share (although this isn't THE big announcement) that I've opened another shop, exclusively for Fairface Washcloths™ products! Yay! And to celebrate this virtual ribbon cutting, I'm offering a week-long promotion for 15% off any Fairface Washcloths™ product order. 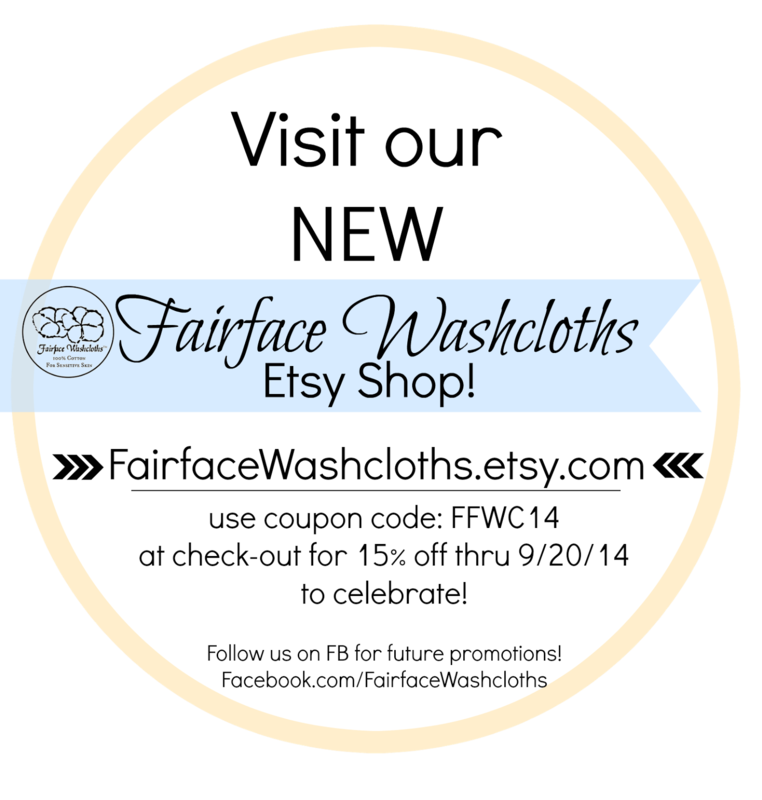 Use code: FFWC14 at checkout through the new Fairface Washcloths shop; good thru 9/20/14. These really are the best washcloths I've ever used for my Rosacea-prone skin. They soothe and calm my face like no other cloth can. My sensitive face just can't tolerate harsh textures and the smoothness of the soft flannel does wonders. Fairface Washcloths™ allows my skin to feel clean and clear, without getting all red and irritated like it does with regular washcloths. If you have sensitive skin, or know someone who does? You need to try them. 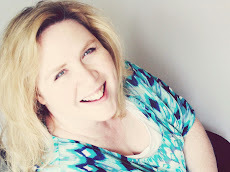 I've had so many people tell me how much they've helped improve their sensitive skin! They are my gift to the world! And I hope they'll be a gift for you as well.